Posted on: November 20th, 2018	by Jennifer A.
Jersey Family Fun participates in online affiliate marketing programs that allow business owners and bloggers to earn referral fees by placing links to products for sale on their own websites. Some of the listings below are affiliate links. Others are ads placed by our regular advertisers. We may earn a small commission from your purchase to help support our free service for helping families find out about family fun in New Jersey. This does not affect your price. In fact, in some cases we are able to offer exclusive discounts to Jersey Family Fun readers. In our Gift Them Experiences Gift Guide we encourage you to put local experience gifts under the tree! On Black Friday you can take advantage of these Black Friday Deals for families to do just that! Snuggle up with your kids! Then when they aren’t looking jump online and order away. 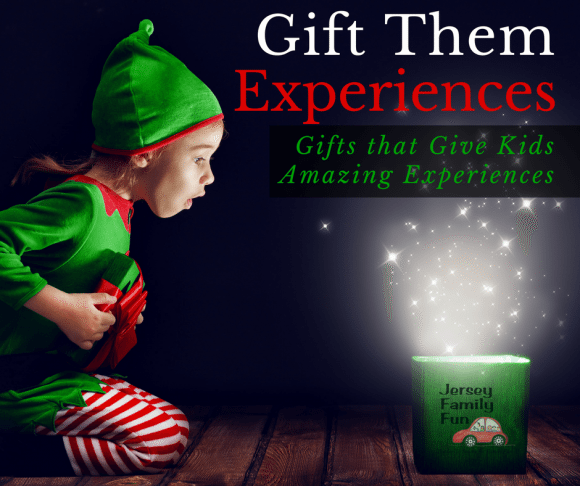 To advertise your gift giving promotions on this page, please contact Jenniferauer@jerseyfamilyfun.com. Gift a kid a gift that gives back through unforgettable experiences! 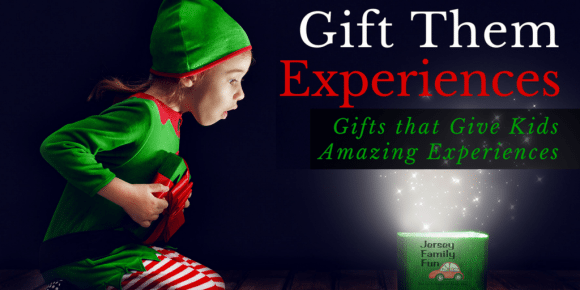 We have been publishing a Gift Them Experiences gift guide since 2011! 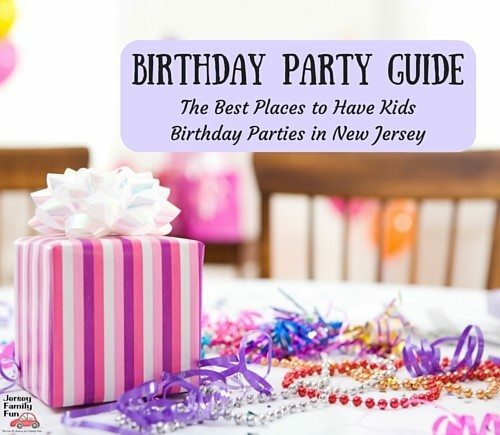 This is our EIGHTH year of providing a gift guide that encourages parents, grandparents, and loved ones to look beyond the toy aisle this year when it comes to gift giving and instead purchase experience gifts local to New Jersey, Philadelphia, and New York. We want to show you how you can find great unique gifts for kids that don’t involve standing in line or fighting for the last item on the shelf. We guarantee the items and ideas in this gift guide don’t require you do any of those things. Take a look. This holiday break Mary Poppins Returns, The Grinch and other kids movies will be out. In 2019, Disney will release Toy Story 4, Captain Marvel, Star Wars Episode IX, and Avengers 4. Other 2019 releases include Wonder Woman 2, The Lego Movie 2, How to Train Your Dragon 3, and more. All of these make for a great reason to take advantage of Fandango Black Friday Deals. To take advantage of Fandango’s offers to buy movie tickets as gifts, click one of the links below. Fandango – VIP+: ‘Tis the Season to Get Rewarded – Earn 125 points on every ticket you buy. Rack up 500 points and get a $5 reward for more movies. Unique way to wrap your Fandango gift cards as a gift. Tuck the Fandango movie tickets or gift cards inside plastic popcorn cups with boxes of classic movie theater candy. What is the one gift that lets any day be a beach day? It’s a Sahara Sam’s gift. It might be rainy and gloomy outdoors, but inside Sahara Sam it’s warm and inviting. Maybe your kids find the beach boring. Then, Sahara Sam’s indoor activity pools, water slides, and rides will give them a thrill! Give a Sahara Sam’s ticket or better yet an annual pass as a gift and Sahara Sam’s can be your staycation all year round. Read more about Sahara Sam’s in our Sahara Sam’s blog posts. Sahara Sam’s Daily Tickets are $32.99 – $36.99 Valid ALL day on days of operation. Walk up price: $41.99. All guests 3 years of age and older need to purchase admission. Seniors aged 65 and over are just $19.99 at the park. You can buy daily tickets to Sahara Sam’s Waterpark with this link. Sahara Sam’s Black Friday price for annual passes – $39.99 per pass. Gift cards can be used on merchandise, arcade cards and food & beverage purchases. Buy a $65 Gift Card for only $50. Click over to read sale details. Black Friday Sale: Online ONLY from Tuesday, November 20th – Cyber Monday (November 26th). Click over to the Black Friday Sale at the Sahara Sam’s site to make your purchase. These are online sale options only, while supplies last, and not available on location. For a chance to win Sahara Sam’s tickets click over to this post. This holiday’s Sahara Sam’s ticket giveaway will run from December 4-December 11, 2018. Wrap your Sahara Sam’s ticket or Sahara Sam’s annual pass in a new beach towel with some sunscreen. Your kids won’t know the real gift is inside until you have them open up the towel. Amazon has a great collection of beach towels for kids and tweens, with designs in colors, stripes, superheroes, Disney characters and more. How fortunate are we?! 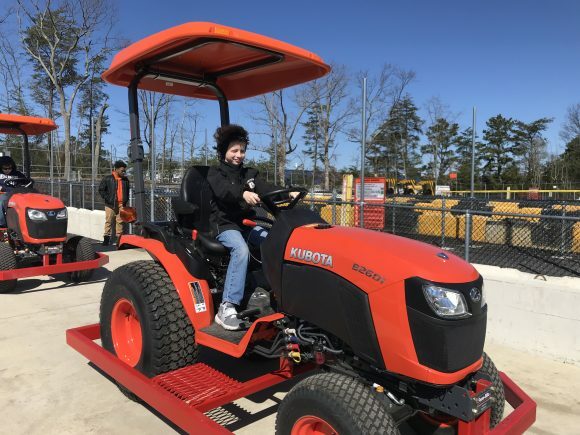 New Jersey has the only family attraction in the country where kids can operate construction equipment. Diggerland has 21 acres with over 25 activities involving construction equipment. Diggerland’s one day tickets include driving full sized backhoes, digging giant holes with real excavators and operating construction equipment – from skid-steers to ARGOs. Admission also includes climbing one of the world’s tallest ropes courses, having an off road adventure in a military truck, scaling the rock wall, playing in the video arcade, and so much more! After one day, you are going to want to go back for more Diggerland fun. Take advantage of Diggerland’s upcoming sale to get a Diggerland USA membership for just a few dollar more than a regularly priced one-day ticket. Click over to read our Diggerland blog post series. Diggerland Membership Passes: 44.95, Regularly Priced: $64.95. Visit Diggerland as many times as you like, on any operating day, for 365 consecutive days after activation! The pass costs less than 2 tickets. If you visit twice, it pays for itself. The walk up ticket price is $36.96. Online ticket price is $34.95 for specific dates. Valid for a single day admission on a specific date and purchased online. Online ticket price $38.95 for non-specific any-day tickets. Valid for a single day admission on a date of your leisure. This ticket is valid any operating day from the time of purchase until the end of the 2019 season. Diggerland Black Friday offers are valid from November 21st and will run until the end of Cyber Monday. Click over to buy Any Day Tickets for $24.95. Click over to buy Diggerland Memberships for $44.95. On December 14, there will be another 72 Hour Holiday sale of Diggerland memberships and tickets. The offers will be made available December 14th, 2018 at 6:00 AM in the morning. These are online sale options only, while supplies last, and not available on location. This is a 72 hour offer and will expire December 17th at 5:59 AM. For a chance to win Diggerland tickets click over to this post. This holiday’s Diggerland ticket giveaway will run from December 11-December 18, 2018. Tuck your Diggerland ticket or annual pass gift in a beach bucket or big toy truck with sand. Then, make your kids DIG for their gift. You can also tuck Diggerland tickets into a hard hat for a child’s gift. You can get a 4 pack of beach buckets (one for every family member) on Amazon. And yes, you can order sand online too. A Tuckerton Seaport day includes a day of learning and fun both indoors or outdoors. Climb the lighthouse. Play on the pirate ship playground. Watch a crafter make a decoy or basket. Explore the grounds and buildings. Create a craft or read a story in the Jersey Family Fun Kids’ Quarters. Participate in an event like Privateers & Pirates or taste new foods at one of their Tuckerton Truckerton Food Truck Festivals. There is always something fun to do at the Tuckerton Seaport and another reason to come back. See what’s coming in our Tuckerton Seaport Events Calendar. 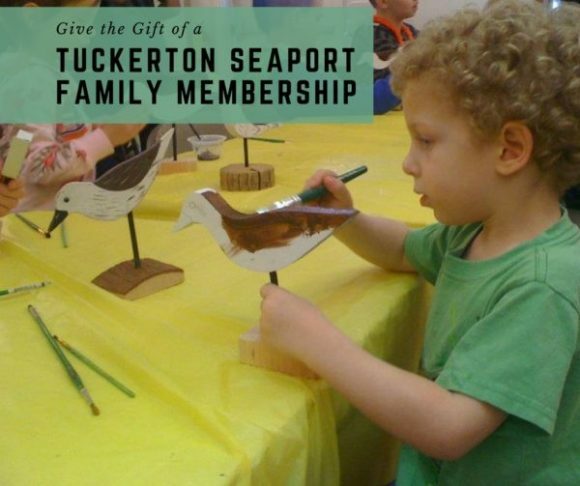 A Tuckerton Seaport family membership provides your family with unlimited general admission for a full year. It also includes admission to ALL Tuckerton Seaport events. You’ll receive discounts on purchases at Tuckerton Seaport Gift Shop plus advance notification of Seaport happenings via a weekly email blast. Tuckerton Seaport Ticket Sales Price $9.00 per ticket for adults. $5 for children 5 and older. Tuckerton Seaport Family Membership Sales Price $60.00 per family membership for one year/ $100 for two years. Tuckerton Seaport Membership bonus for Small Business Saturday, November 24, 9 am to 5 pm, spend $20 and earn a chance to spin the prize wheel. Why not tuck away your Tuckerton Seaport tickets or membership in a play tug boat? (I like these toy tug boats on Amazon.) Have the tug boat tug along smaller boats representing the various attractions at the Tuckerton Seaport. One smaller boat could contain a lighthouse. Another boat would include surfboards. Another boat could include toy turtles. Your child won’t just be excited with a new toy, but also the ways they can learn and play at the Tuckerton Seaport. For a chance to win a Tuckerton Seaport Museum Family Membership click over to this post. This holiday’s Tuckerton Seaport Museum Family Membership giveaway will run from December 18-December 25, 2018. 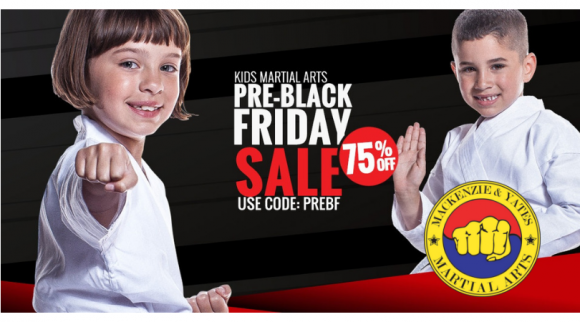 Give your child the gift of confidence, focus, discipline and self defense this holiday season by saving 75% off a Mackenzie & Yates 6 week trial of karate classes! Many young Americans grow up with martial arts as one of their first competitive sports/activities. Not only is it a great activity that keeps participants physically active, but it instills a sense of achievement and ethics, as you work your way up to earning a black belt. Mackenzie & Yates offers a special Young Dragon class for kids ages 4-6 as well as our regular TaeKwon-Do class for kids 7+ and adults. Mackenzie & Yates Martial Arts has locations throughout South Jersey: Atco, Hammonton, and others. 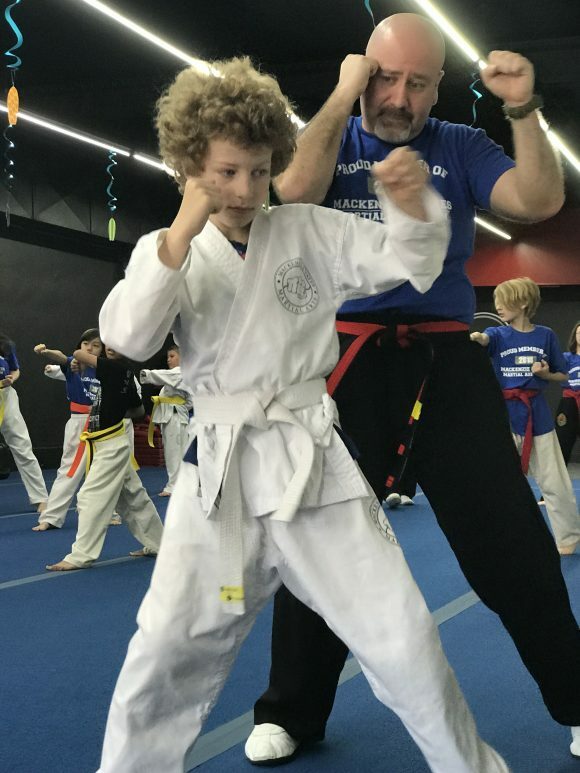 Read more about Jenn’s experience with her boys taking Mackenzie & Yates Martial Arts classes in this article, Watching my Boys Grow in Slow Motion Through Karate. Save 75% off our $69, 6-week trial. That’s 12 classes for only $17.25! Use promo code PREBF. Black Friday offer expires for the public on Saturday, November 24. Jersey Family Fun readers can use the code to save on karate classes until Friday, November 30, 2018. Great gift idea for kids ages 4+ – Available at Mackenzie & Yates Atco location www.AtcoMartialArts.com and Hammonton location www.MartialArtsHammonton.com. Mackenzie & Yates will call to schedule your first class upon registration. Click over to www.atcomartialarts.com to make your purchase. Looking for an experiential holiday gift option that gives families the ability to spend quality time together and gives a child an invaluable life skill? This holiday season, skip the toy store and give the little ones in your life the gift of swim lessons instead! While supplies last, Goldfish Swim School locations in: Wyckoff, Livingston, Mount Laurel, Middletown, Manalapan, Closter and Denville are offering discounted holiday packages for the little swimmers in your life! Swimming lessons provide essential skills and confidence that last a lifetime. Kids learn safety skills while having fun, making friends, building confidence and learning life lessons. Kids love Goldfish’s fun, tropical environment and 90 degree pools. Parents get the peace of mind knowing that their loved ones are learning an essential life skill based on our proven curriculum. There’s no better gift than that! 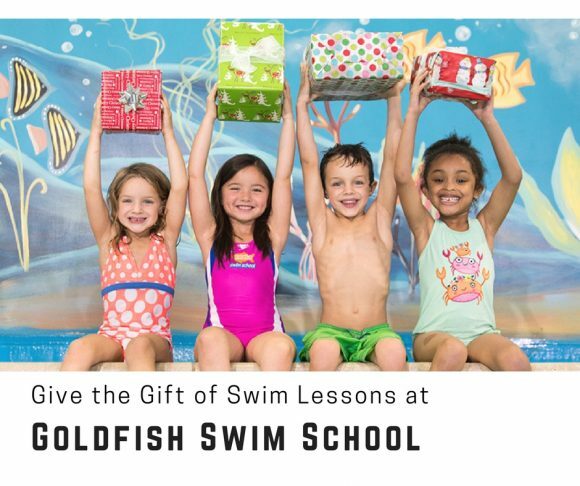 Learn more in this article, Give the Gift of Swim Lessons at Goldfish Swim School. In fact, this holiday we are running a Goldfish Swim School Swim Lessons giveaway from November 27-December 4, 2018. Click over to enter. Founded in honor of America’s first scientist, Benjamin Franklin, The Franklin Institute is one of the oldest and premier centers of science education and development in the country. Today, the Institute continues its dedication to public education and creating a passion for science by offering new and exciting access to science and technology in ways that would dazzle and delight its namesake. The Franklin Institute has a variety of exhibitions that explore many different concepts. There are places to learn about your brain, virtual reality, trains, and more! It’s a great giftable experience for a family that loves science. Read more about The Franklin Institute in our Franklin Institute series. The Franklin Institute Ticket Sales Price $23.00 per ticket for adults. $19 for children 3 to 11 years old. The Franklin Institute Family Memberships start at $149 a year for 2 adults and 4 children. Click over to www.fi.edu to make your purchase. 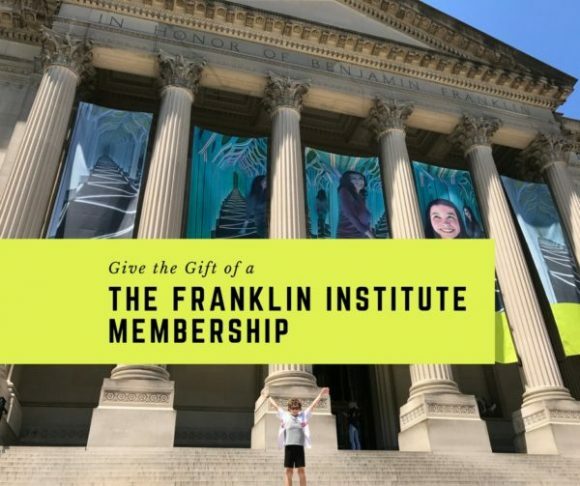 To learn more about a The Franklin Institute Membership, please visit Give the Gift of a The Franklin Institute Membership. For a chance to win a Franklin Institute family membership click over to this post. This holiday’s Franklin Institute family membership giveaway will run from November 23-November 30, 2018. 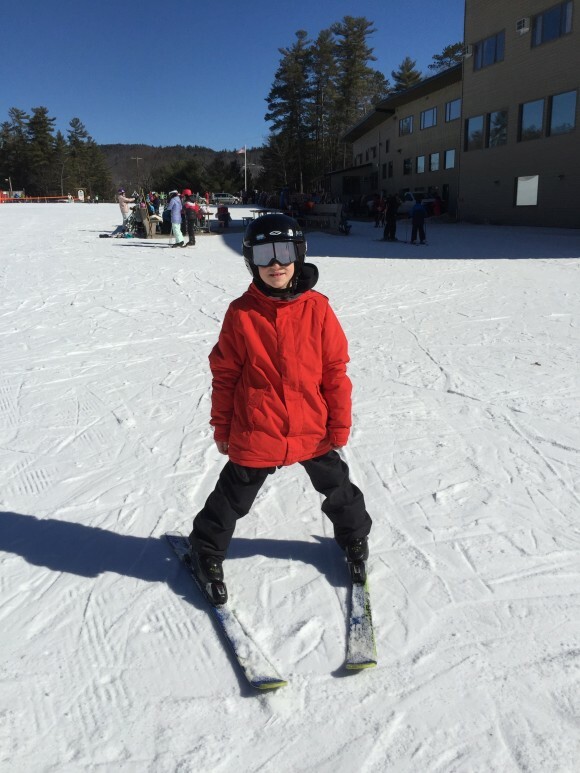 The Pennsylvania Ski Areas Association (SkiPA) offers the perfect gift for families interested in getting their loved ones introduced to the sport of skiing or snowboarding and staying active this winter. The “First-Time Ski/Snowboard” package is a gift of fitness that keeps giving long after the holidays. It’s a great incentive for families to commit to spending quality time outdoors together on the Pennsylvania slopes. The First-Time Ski/Snowboard package takes the guesswork out of planning and makes it easy for beginners to hit the slopes for the first time. Available for $59, ski and snowboard newbies receive a beginner lift ticket, group lesson and complete rental equipment. Quantities are limited, so it’s recommended to sign up early. All orders must be received online by Dec. 30, 2018. Purchase is limited to five vouchers per household.Voucher can be used anytime (Weekends & Holidays) except for Hidden Valley, Laurel Mountain & Seven Springs. Hidden Valley, Laurel Mountain & Seven Springs – During the following dates 12/22/18 – 1/1/19; 1/18-21/19 and 2/15-18/19, you need to make advanced reservations and they only offer a group lesson time for 1:00 pm. To sign up, visit, http://www.skipa.com/deals/first-time-offer. If you’re a reader of Jersey Family Fun you know how much we love escaping to Kalahari in the Poconos! It’s always a balmy 84 degrees inside, and what better way to warm up your Christmas morning than to gift a Kalahari getaway? The waterslides, the hot tub, the lazy river it’s all so much fun for every age. Read more about Kalahari in our articles. Get your passes to America’s Largest Indoor Waterpark & Gorilla Grove Treetop Adventures Ropes Course & Zipline Park, Black Friday – Cyber Monday. Get a Waterpark pass for $49, Gorilla Grove pass for $35, or make it a combination of both for only $75! *Note: Gorilla Grove Treetop Adventures is a seasonal attraction. Purchase online and get more details starting Friday November 23. Purchase any Surprise Box and receive a FREE $25 arcade card! Buy here.